I have lived at Gazebo for over a year and I absolutely love it! The staff is friendly, the complex is clean and beautiful, and the maintenance staff is quick. I absolutely love the events. Gazebo is constantly being updated with new things and I feel I am getting my money's worth here! 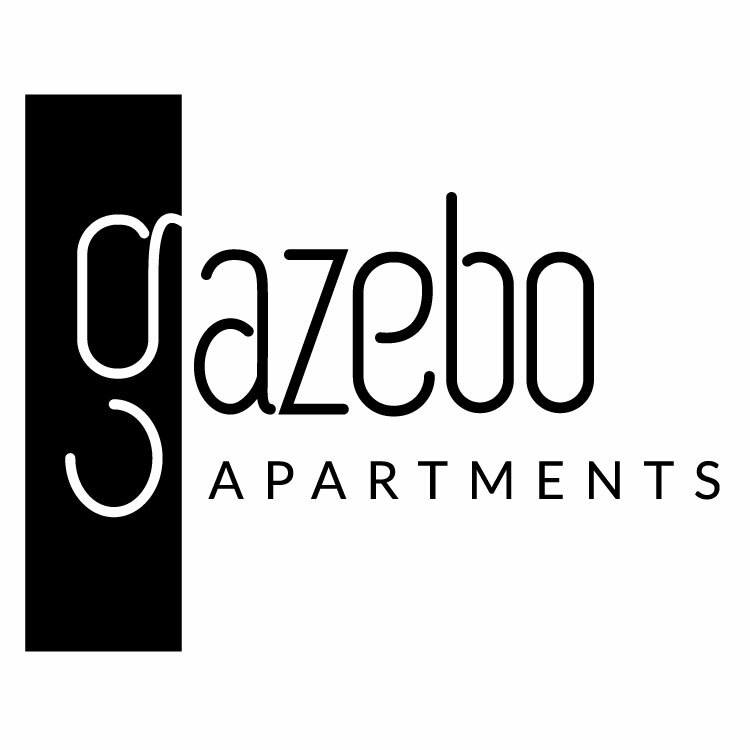 Gazebo apartments are a great place to live! The location is great and the staff is always helpful. Maintenance always takes care of any problems I have in a timely manner plus the apartments are very spacious and a great place to be. These apartments are beautiful and the community is great. The front office could definitely be a little better about following up on things. When I first toured my apartment there were several areas that were unclean which I pointed out. I was told they would be taken care of before I moved, but they weren't. One of these areas being bird excrement on my second floor window. I have since brought this particular issue to them two more times, but there is still an unsightly view when I look out my window. Really though, as you can tell from the five star review, it isn't enough to dampen the experience of the apartments, just some constructive criticism. The grounds are great. The staff is very friendly and accommodating. I feel very safe here. The only downside to my place is not having a washer and dryer in the unit. There's some creepy people moving in lately. We miss the office people at the parties and stuff like that. Not bad otherwise though. Oh! The carpets are awful though!!! Great place to live for students and young professionals. Convienent location the downtown area and many of Nashville's colleges and universities. The 3 onsite pools are great, although they can be crowded once the colleges are out for the summer. But you can usually snag a chair and the pool as it is fairly empty for swimming since most people go there to sunbathe. My complex had a few minor repairs to make along the way, but they were typically handled in an appropriate amount of time. But it is to be expected since the complex itself is a couple decades old. The newly remodled units do look nice. One thing to note is if you have a ground level unit, the electric bill will be pretty high in the winter but top floor units will see bill increases in the summer (heat rises people...it's physics). It's mostly due to seemingly spotty insulation, especially the sliding doors. But all in all, I have enjoyed my time here. I love Gazebo! You guys do such a great job at making us feel so welcome and fixing anything that may come up during our time renting with you!!!! We've had a few problems with the apartment but they were taken care of quickly after we had put in a request to get them fixed! Very nice!! Overall a very friendly community. Very responsive to issues. Beautiful landscaping! The maintenance staff is super nice! Dog friendly, even big dogs. My husband and I have lived in three apartments since getting married, and Gazebo is by far the best. The staff is very nice and helpful, the atmosphere is clean and safe, and the extra amenities such as the parties and free meals are above and beyond what I would expect in an apartment complex. Beautiful place to live complete with salt water pools and fitness center! I love the scenery and spacious living environment and the staff is friendly too! Nice community. Older unit has many issues. There is a spider infestation that we can't get rid of. Usually have to call more than once to have things fixed correctly. Appointments for service on our unit are constantly broken. Been here only a year and have had so many issues. Gazebo is pretty great community, I live next to the dog park and the community garden. The pools always look full of young adults, and they always throw some get together at least 2 times a month to meet new people. Very clean complex. Beautiful landscaping and pools are well kept. They are a very welcoming community. I live alone but there is always events in the developement I could go to and meet new people. It has been good but I've had numerous problems with the electricity since I moved in about a month ago and my water heater caught on fire overnight, which is kind of disconcerting. Overall experience has been good at Gazebo. Great location. Staff has been mostly attentive to what we need, in a fairly timely matter. Only complaint is that some community standards aren't always met by all the residents, mostly when it comes to pets. Living at gazebo has been great! I love it here. The pools are wonderful and it's nice and quiet. The staff is very friendly and always willing to help with any problems that may arise. Had a wonderful experience living in Gazebo. Resident events organized by gazebo team were fun. Maintenance issues were always addressed within 24 hours. I have greatly enjoyed my time living at Gazebo. The property is beautiful and the amenities and staff are wonderful. Maintainance, however, can be a bit slow. I love living at Gazebo because there such a nice balance of privacy and community. I also like that there are also people of all ages that live here and that it's very diverse. Maintenance is wonderful and has always responded promptly and the landscapers work really hard. I have been living at Gazebo for about 5 months and have been mostly pleased. I originally signed a 6 month lease do some uncertainty with my job, and there was quite a bit of confusion when I renewed my lease about what my new cost of rent would be, which was a bit stressful and actually had me looking into other places to live because I was misquoted twice at rates $100-$150 more than what my rent will actually be when I renew my lease. The grounds are well maintained, and the apartment itself is nice. There is a lot of closet space both in the bedroom and throughout the apartment, which is nice. The kitchen has lots of counter space as well. Any time I have needed maintenance assistance (which has not been often), they have gotten here quickly to assist with the problem.